Modern garage door systems have come on leaps and bounds in recent times - all we need today is a click of a button on our remote control, and the door opens and closes as if by magic. 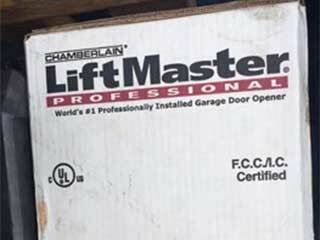 If you're still working with a manual door or think it's about time you replaced your current opener, there are a few important things to consider before making the final choice. Not all doors and openers were made the same, so it's important to weigh your options and make the right choice for you. One of the things to consider when choosing a door opener is the drive system. The three types commonly include the chain drive, screw drive, and belt drive system. Chain drives utilize a chain to lift the door and are typically the cheapest type of door opener, but they can noisy and aren't recommended for those that have bedrooms located near their garage. A screw drive system doesn't require much maintenance and it’s not as noisy as the chain drive while a belt drive garage door opener is sturdy, quiet and works smoothly, but can be a bit more pricey than the other two options. What Horsepower Do You Need? Another thing to consider when choosing a new opener is the level of power you're likely to need. This will depend on the size and weight of your door - if the horsepower of your opener doesn't match your door system, your unit may struggle to lift it and break under the strain. Before finalizing your selection, check that your choice comes with all the security and safety options you're likely to need. All systems today should come with safety sensors, a reversal function, and a safety release feature that can be used to open and close the door in the case of an emergency or power outage. However, there are bolt-on additions to these choices such as automatic security lights which come on when someone is in the vicinity and rolling code technology which helps to protect your system against intruder access. In summary, there are a number of options available when it comes to choosing an opener - the right choice for you will depend on your household needs and budget. If you feel like extra guidance would be helpful, simply contact our experts at Garage Door Repair Huffman in Texas for further information - we'll be glad to help!